That's a wrap for another day of chaos and thrills in the FA Cup. Thanks once more for all of your company this weekend, we'll see you all tomorrow from Spotland. Brighton manager Chris Hughton, speaking to BBC Sport: "We gave ourselves a mountain to climb and then all you can ask for is a reaction. You can't afford to start like that against the quality Arsenal have but we showed great spirit and a decision went against us that on another day could have got us the result we wanted." On penalty appeals after the ball hit Calum Chambers' hand in the box: "My first impression was that it was very close, and generally that doesn't go your way but the arm was outstretched and on a lot of occasions recently referees have given penalties. "This is a very ambitious club, at the moment we are in a position in the league where we don't want to be and we have a lot of work to do to. This division is full of clubs that have been Premier League clubs and then found it difficult. Our priority at the moment is to get that stability that we need." Arsenal boss Arsene Wenger, speaking to BBC Sport: "It was hard work. A typical cup tie where the other team never gives up. We had to fight until the end but overall we were always leading and missed a few chances as well. "I believe that is where we won the game [at the start]. The results from yesterday maybe got us on our toes and we got off to a quick pace, and I think that surprised Brighton. "The players who were injured have worked very hard to come back and I think they did well. It is too early to say if we can win the FA Cup, there is such a long way to go." On the imminent arrival of Gabriel Paulista from Valencia: "He is a defender, can play on the flanks as well, tall, pacy and strong in the challenges. He has a good chance to adapt to English football. I see in him good potential and he can be a good addition to the squad. It could be done before the draw tomorrow." Arsenal forward Theo Walcott, speaking to BBC Sport: "As defending champions it is our cup at the moment. All those teams going out means it is a massive opportunity. "We believe with the team we have and the players coming back from fitness we can beat anyone." Arsenal manager Arsene Wenger, speaking to beIN Sport: "We started very strongly and played at a good pace with quick combinations and won the ball back quickly. Overall that helped us to win the game. We were still in control at 3-1, but at 3-2 of course then they had more belief. It shows you how difficult it is psychologically in the cups. You think you have done enough to win but no, because the other team does not give up, which is what happened today. "We had many players who had came back and maybe we dropped a bit physically. They gave it a go like a typical Championship team can do, that is why so many Premier League teams were surprised yesterday. We had to fight until the end as well. "[The results yesterday were] a huge surprise. You check twice to see if it is true or not because you don't believe it but that is the cup and why people love football, it is only in our sport that lower division teams can beat those of the higher divisions." Arsenal manager Arsene Wenger says the deal to sign Villarreal defender Gabriel Paulista is close and should go through early next week. Arsenal forward Theo Walcott, speaking to Bein Sport: "That is what the FA Cup is about. We did well in patches, it was a typical FA Cup tie - we have a go, they have a go basically. "We are getting players back to fitness and it is a competition for places now. It is nice to go through because it was very tough today. "It has been a while since I last scored. It has been a whole year, people will expect me to score every game now but it is not going to happen overnight. It is about building up fitness." Everton striker Samuel Eto'o's transfer to Sampdoria has moved a step closer after he completed a medical with the Italian club. The 33-year-old posted a picture on Twitter and added: "Successful medical. Ready for a new challenge!!!" Check out all of January's transfers here. So 10 Premier League sides, six from the Championship, four in League One and Cambridge United of League Two are in the hat for round five. A fine spread. Who are your favourites at this stage? The final tie of round four comes tomorrow night when Rochdale host Stoke. Peter Collins: About time one of the supposed 'big' teams made it into the fifth round! Very poor show from the established elite. League One side Bradford will find out their reward for knocking Chelsea out of the FA Cup when the draw for the fifth round is made on Monday. beat Premier League champions Manchester City. League Two's Cambridge United held Manchester United 0-0 and are the lowest ranked of the 16 teams left. The draw will be made on the The One Show, which starts at 19:00 GMT on BBC One, and Gary Lineker will be a guest. "Arsenal dominated the first period with their midfield buzzing all over Brighton and Theo Walcott also started brilliantly. But after one or two little changes from Brighton at half-time and a few words from their manager, they turned in a spirited comeback and Arsene Wenger's heart will certainly have been beating faster than it was after 25 minutes." Vince, London: Arsenal getting two comfortable away wins back-to-back? Get real. We Gooners need a good dose of panic in the last few minutes, it's only natural. Check out our FA Cup video page for all of the goals and reaction. "Chris Hughton will be really pleased with the way his Brighton team pulled themselves back together in the second half after going 2-0 down so early on. The home supporters will not be disappointed with the effort their team has shown. They played with great spirit and have given a really good team a tough time." All over! A great second half from Brighton, they pushed Arsenal all the way but it is the Gunners who are into round five. Chance! Tomas Rosicky - excellent again - picks out Aaron Ramsey at the far post but he fluffs his volley. The attendance is a record of 30,278. Lewis Dunk is booked for handball as Tomas Rosicky tries to slalom through and this is top class game management from the Gunners. Brighton have hardly had the ball for three or four minutes. Chuba Akpom on a two-on-one - he has to square it! Alexis Sanchez is in but he hesitates and is fouled instead. Wasteful from the young man. The wrong decision. But at least it uses up time. Sanchez thinks about playing the free-kick into the corner but shoots instead, and it's a good save from David Stockdale! Arsenal finally get hold of the ball and keep it, eating up 30 seconds of precious time. Can the Seagulls do it? Belete Eshetea: My heart rate already increased. The magic of the FA Cup! One for all and all for one at the back for Arsenal now. Get it clear is the name of the day. This game was a non-event in the first half, but credit to Brighton for this second-half showing. Arsenal are hanging on in the final minutes, which never looked likely. "Calum Chambers' hand was out and the ball certainly hit it. I think Michael Oliver doesn't give it because Chambers is so close to the ball, but I would have given it. Will Brighton get one last opportunity? They should do - there is enough time." Aaron Ramsey signals to the bench that he is injured and can't continue, but Arsenal have used all of their subs. Go and hide on the wing. Free-kick for the Gunners then, Alexis Sanchez to take - onto the bar! Flicked off the wall on the way, corner. No rush from the Gunners. Brighton can't score while the ball is down there. Into the last 10 minutes. Alexis Sanchez is a one-man counter-attack, and he wins a free-kick from a crunching tackle from Gordon Greer. Aaron Ramsey is also limping. This is comfortably Brighton's best spell. They commit men forwards but are caught on the break and Alexis Sanchez is away! He sprints down the right before finding Chuba Akpom on the left of the box. The angle is against him but the youngster hits a decent effort, and that's well saved by David Stockdale. Compelling viewing now as Brighton take more and more risks. "Brighton are really pushing now. They have good width and are taking risks to get forward - they have to. Francis Coquelin will play in the central midfield with Mathieu Flamini. For the first time in the game Arsenal go cautious." Two shots on target for Brighton, two goals. One more is needed. As I expected, Mesut Ozil comes off and Francis Coquelin is on to see this one out. Outstanding last week. Luke: Game on, the upset is back on! Alexis Sanchez picks the ball up on halfway and is fouled I think four times in the same move. Brighton swarm on him, three blue and white shirts bring him to the deck. No bookings though. Can the Seagulls mount one more attack? There is still plenty of time. "A very clever goal from Brighton. I don't think it's complacent from Arsenal - it is a fine pass through and Sam Baldock just steals into the space behind the Arsenal centre-backs. Baldock is sharp and alert. Wojciech Szczesny still hasn't made a save!" We do have a cup tie back on our hands! Brighton have hardly had an attack all game but are somehow right back in it with a second goal! All credit to Sam Baldock too, it's a great finish from the centre-forward. He's fed on scraps all day but gets one slick pass through the middle and chips confidently over the head of Wojciech Szczesny. Eddie: Why is Alexis Sanchez coming on now? Wrap him up in cotton wool, Wenger. The lad needs a breather! Mesut Ozil looks very tired now as he makes his way back from injury. He just took a touch that you or I could pull off in 5-a-side. Completely missed the ball. I'd expect another sub shortly. Lines are now open for this evening's 606, brought to you by Kelly Cates and former Arsenal defender Martin Keown. Tune in on BBC Radio 5 live from 18:06 GMT. Arsenal had 61% of possession in the first half, and have had 62% since the interval .Remarkable consistency. Can Brighton find a second goal from somewhere?Substitute Solly March leads a counter-attack but runs into a yellow and blue cul-de-sac and loses it. Double change for Arsenal. Olivier Giroud comes off and is replaced by Chuba Akpom, while Theo Walcott is replaced by Alexis Sanchez. But there is a save! Theo Walcott hits one hard and true from 22 yards out, David Stockdale watches it all the way and beats it out. A fourth Arsenal goal would well and truly kill this one off. We may as well play fly keepers here. The first four shots on target have resulted in a goal. Remarkable. Rich applause as Chris O'Grady spins his man on the edge of the box and fires the shot well wide. Good effort, but maybe not the best option. Louis Baker-Stroud: Hard to believe Tomas Rosicky is 34 years old. Superb energy and what a strike! Andrew Soar: Tommy R has deserved that. Best player on the park. Brighton make a change as Solly March comes on. The Championship side have half an hour left still. Is Tomas Rosicky due a new contract? That was a belting piece of play from the former Borussia Dortmund schemer. And it may well have taken the jam out of Brighton's doughnut, just as they were building up some pressure. Bournemouth boss Eddie Howe: "I don't enjoy losing. The experience of the day was a special one and I thought we did ourselves proud. It was an entertaining and tight game. "It was a fantastic goal by Carles Gil. That is the quality of the Premier League, they had two moments of the highest class, otherwise our keeper had nothing to do. "We had a good first-half performance, we maybe did not reach those heights in the second half but we will certainly grow from this experience." On making eight changes: "I said in preparation for the game that the difference in quality in our squad is very, very thin. We were hampered by injuries but I have no qualms playing those I did today. "The game gives the players that taste of playing a side in the Premier League. For the development individually of the players, this will do them the world of good. It is back to day job, we have Watford next week and some big games coming up." "Tomas Rosicky's volley flew past David Stockdale in the Brighton goal. He takes the applause of the Arsenal fans behind the goal. And what a beautiful ball in from Olivier Giroud - it was put on a plate for Rosicky and he hit it low and hard, with his eye on the ball." hat is top, top quality! Tomas Rosicky with a special bit of play. He gets the ball on the edge of the box, does the back four with a 'look-the-other-way' pass as he looks right and plays it left. Olivier Giroud chips it back to the Czech in the D and he cracks a perfect volley right through David Stockdale and into the net. Aston Villa manager Paul Lambert: "We needed to try to get through. After seeing yesterday's results, we had nothing to gain. All credit to the team. I thought we deserved the win. "Carles Gil is lighting the place up and it was a world class goal. Being a foreign player you can take time to adapt or hit the ground running and he has done the latter. He does the same in training. In training you can't get the ball from him as he has a low centre of gravity. I'm delighted to get through. It is a big win. "The supporters went through a hard time just like the players. The win today will certainly help us. "We took a lot of knocks but all credit to the lads, they never let their heads go down, even in training." Bob: Once again Arsenal are turning a stroll in the park into a nightmare! Another one bites the dust? Christopher York: Go on Brighton... I double dare you. Arsenal go back on the attack, Olivier Giroud almost gets on the end of a flick-on and he wants a penalty for handball. Nothing given. And Brighton at the other end also want a penalty! Inigo Calderon breaks in to the area and goes down wit the ball between his feet. He tripped over his own feet. Brighton are buzzing now. They win a free-kick in a dangerous spot but Arsenal defend that one well. All hands on deck! "Nacho Monreal did not clear the ball away properly and when it broke to Chris O'Grady he turned, shot low, and the goalkeeper had no chance. Calum Chambers really should have done better with his challenge though. Can Brighton come alive now?" That is what the tie needed! The hosts are right back in it and it's a soft goal too. Tomas Rosicky's clearance goes high, not far, it is headed back into the box and Chris O'Grady is able to hold off the challenge of Mathieu Flamini and hammer in a shot right into the bottom corner. Well taken. Tom Leston: Arsenal shouldn't take the lead for granted considering what happened to Chelsea yesterday. Brighton get us under way. The players are back out at the Amex, Chris Hughton clutching some notes as he strides purposefully toward the dugout. Can Brighton start at full throttle? There is a subdued feel to life at the Amex after that first half. Arsenal have put in a Floyd Mayweather display so far. Brighton haven't been able to land one punch. Completely outboxed. "When you see that finish by Ashley Westwood (16:52) at the end you can see why Aston Villa haven't scored many goals this season. They just about deserved the win though. The most important thing for Villa was to get through. They are not doing very well in the Premier League, and to have been knocked out by a Championship team would have been even worse." Much relief for Aston Villa and their fans, Paul Lambert looks happy too. Can they build on this now? A new signing with a wonder goal, Fabian Delph signing a new deal, things on the up? Villa into round five. A very good result for Paul Lambert and co. The Cherries pile men forwards and are almost caught out - Villa break, Ashley Westwood is in oceans and runs through. He goes for the low shot but what a save by Lee Camp. Superb. Hello! Maybe we spoke too soon. Great move from Bournemouth as they play Adam Smith into the area, he looks up and picks out Callum Wilson running to the near post and he provides a classy finish, outside of the foot and into the corner. Aston Villa aren't used to winning and Bournemouth aren't used to losing. So maybe this is an upset after all. Bournemouth had their early chances but have offered little since Carles Gil's wonder goal. "Over the last 10 minutes before half-time Brighton probably had as good a share of the play as Arsenal for the first time in the game. But Arsene Wenger's selection has been composed, collected and have shown the authority you expect of Premier League players. Brighton must have a more direct approach and more aggression with the ball if they are to get back." Too easy for Arsenal. Two good goals, but Brighton have been virtual spectators. "Carles Gil, well the goal is there to see, he loves to be in possession of the ball and loves to take people on. He will be a threat for Villa, there is no doubt about that. I have been impressed by him." A standing ovation for Carles Gil as he comes off at Villa Park. What a goal he scored, a game changer, a mood changer, a season changer? Steady on. He is replaced by Ashley Westwood as we enter the closing stages. Mesut Ozil weaves out to the right, beats a man easily and then tees up Aaron Ramsey 25 yards out. Have a dig? Why not. He drills it in at real pace and it slams into the face of Brighton defender Lewis Dunk. Stinger. Chance! Bournemouth break and get top scorer Callum Wilson in behind, he's clean through but he takes too long and Kieran Richardson puts in the hard yards to cut it out. That was the chance to make the last few minutes interesting. Theo Walcott drifts out to the left and has a penalty shout waved away as his touch inside hits the arm of Bruno, the Brighton defender had no chance of getting out of the way of that. John Wilde: Two goals for the Villa - I'm in dreamland! Andrew Worby: I can't be comfortable with this, not after what happened to Chelsea yesterday. Luke: Arsenal did not get the memo it seems. Both games are rather flat at the minute. We need one of the losing sides to inject some oomph into it. "Oliver Giroud is playing very industriously, dropping off and linking the midfield - it's a very effective front-man's game from the Frenchman so far. The Brighton crowd are appealing for Brighton to break forward quicker when they win the ball - we saw them do that when Sam Baldock had his shot (16:26) but all the pressure and speed is with Arsenal. It's difficult to see where Brighton's penetration is going to come from." Jake Forster-Caskey hammers a drive well over the bar as Brighton try to make a game of it. They have been very disappointing so far. "Aston Villa's fans are now feeling and sounding a lot more relaxed. This has been a much-improved second half display and their supporters are singing about Wembley. Getting carried away - but why shouldn't they after the misery they have endured this season?" Two goals in seven games before today - two in one half for Aston Villa. Bournemouth can say that they can concentrate on the Premier League but what could have been had they named a full-strength side? Jarvis Whiteley: Theo and Ozil! I said 5-0 this morning as a joke but... could it happen? Samuel Harper: The invisible man appears! Ryan Mould: Brighton just don't seem to be able to cope with Arsenal in this mood (and now I have said that here comes another Bradford). "That is an absolutely first class goal from Aston Villa. Not just Andreas Weimann's finish but the pace of the build-up, the way they opened up the defence, it was a really good team goal." That could be that. And it's another excellent goal, you have to say. Leandro Bacuna picks out the overlap from Alan Hutton on the right, he looks up and clips it across and there's Andreas Weimann, on the spot, to steer home left-footed. Here's a word you don't use often about Villa - clinical. Sam Baldock heads over from 16 yards as Brighton do get forwards. They've barely laid a finger on the Arsenal so far. Can they get amongst the Premier League side and try and spark this tie into life? "That is a massive blow for Brighton. Arsenal were just waiting for that moment when they could dissect two defenders. Tomas Rosicky with the pass, Mesut Ozil provides the finish, and the bottom line is that Arsenal are buzzing, while Brighton are finding it hard to compete." Get the beers in in Buffalo, it's 2-0. It's too easy again as Tomas Rosicky is allowed time and space to pick a pass 30 yards out, he finds Mesut Ozil inside the box and the German World Cup-winner slides it into the corner with his trusty left peg. Brighton are making this so easy for the holders. Buffalo Gooners: "We're watching our beloved Arsenal at Buffalo, New York!" all of the goals from the weekend here. Bournemouth bring on top scorer Callum Wilson as we enter the final half hour or so. Can he make the difference? "I mentioned before how Villa's fans were placing their faith in Carles Gil and he certainly delivered for them there. He has been their best hope all afternoon and that goal demonstrated superb technique." Still so easy for Arsenal. Lewis Dunk does at least put a tackle in, powerful and fair, and that gets the crowd up. If Brighton don't get into the faces of the Gunners it will turn into a Sunday stroll on the south coast. Seany Ekon: Buzzing to see Mesut Ozil and Theo Walcott today. Aaron Ramsey must put in a defensive shift and not worry about scoring. Then we will perform. Moses Ayeni: Theoooooooooo!! Welcome back! Chris S: Magic of the FA Cup - even Aston Villa can score! Arsenal have had 67% of the play thus far and look very comfortable. Perhaps Brighton are showing them too much respect, not much in the way of challenges or physical pressure so far. That is only Aston Villa's second goal in seven games. And it was quite superb too. Villa popping it about with a degree of confidence now, can Bournemouth come back from that setback? "What a great goal. We know Carles Gil has ability because in the first 45 minutes he looked excellent. He got the ball onto that left foot and bent it in past the goalkeeper into the far corner - an absolutely first-rate goal." Wowsers! Pick that one out! Maybe Carles Gil is the saviour after all, as his first goal in English football has the fans inside Villa Park off their seats! He picks it up on the counter, wide on the right, cuts inside the full-back and then shoots, lofting a curling effort right into the top corner from at least 25 yards. He took it so early, it was inspired stuff. Paul Lambert blows out his cheeks. What a relief, what a goal, what a signing? It is a yellow onslaught. Arsenal so on top here, it can only be a matter of time before they grab a second. How ruthless are the Gunners feeling? West Ham manager Sam Allardyce, speaking to BBC Sport: "I knew it was going to be a tough game and it was exactly that. Bristol City showed why they are where they are in the league with their form today. We found it difficult to get our passing routine going but when the one chance popped up it was all we needed to get a very important victory. Bearing in mind what has happened this weekend, it is a big result for us." We've not seen much of this this weekend, the Premier League side totally in control. Aaron Ramsey dives at goal, his powerful shot deflected just past the post. From the corner Olivier Giroud is close to bundling in at the front stick. That's better from Villa! Christian Benteke cuts in from the left, could shoot but goes on, could shoot but goes on, could shoot but goes on - and then finds Carles Gil who whips a shot into the side-netting. Any Brighton gameplans of containment or frustration are out of the window instantly. There is a shell-shocked air in the stands. "Theo Walcott was first to it and he hit it across the goalkeeper for a lovely finish. Albion now really have a mountain to climb. The goal is quite a body blow but they must maintain their composure and discipline." Back under way at Villa Park. Can Villa score? Well that didn't take long! Arsenal lead before Brighton had hardly had a touch. Calum Chambers gets clear on the right and puts a cross in to the near post, Theo Walcott's touch is perfect to bring it under control and he cracks the shot into the far corner from 12 yards. Wonderfully taken. West Ham defender Winston Reid, speaking to BBC Sport: "In the first half we were under pressure. It is always difficult coming to these places, Bristol City put in a good performance but we put in a clean sheet and Diafro Sakho got the goal, so it was good. We wanted to come here and finish off the game and we did, even though we had to wait for that. The manager spoke before about the upsets yesterday, and we did not want to be one of them." Fabian Delph, with the ink still damp on his new contract, is out applauding the fans at Villa Park. How important may keeping him prove to be? 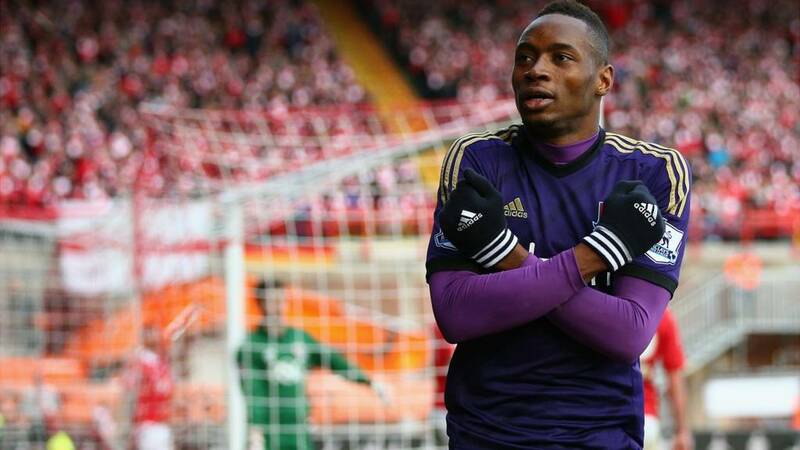 "Diafra Sakho is the match-winner and he has been full of goals this season. 10 goals in 16 games I think it is. As soon as he came on he showed a brilliant bit of skill and was unlucky not to score when his shot hit the bar. For Bristol City, Matt Smith was a pest all afternoon. He had one clear chance when he really should have done better." We will continue to bring you the best reaction and analysis of West Ham's victory as we tick over to Arsenal's trip to Brighton. A record crowd at the Amex? Arsenal are in the tunnel awaiting their opponents. Yellow kits today for the holders. Brighton manager Chris Hughton on BT Sport: "The shocks highlight to everybody the surprises in the cup and what it means to everybody. We are a team in decent form. "There is great potential at this club. The stadium we have here - it's a record crowd for the stadium - and the training facilities are fantastic. We are not in a great position in the league though." Arsenal manager Arsene Wenger on BT Sport: "The fourth-round shocks were a huge surprise. That's English football - the academies of the clubs in the lower divisions have the players prepared physically. My team selection today is about some players having played many games rested and players who haven't played many games that are playing. Ozil and Walcott are physically ready to play, but they can only show that in the game." "West Ham will be delighted. They were never going to come here and get an easy game. Bristol City are flying high in League One, they can now concentrate on promotion. They are a young team, and they can take plenty of positives from today's result. West Ham, meanwhile, will think they can go all the way in this competition." Seventh-placed West Ham are the highest-placed Premier League team definitely through to the fifth round of the FA Cup. West Ham just about do enough. They are into round five thanks to that late header from Diafra Sakho. "The home fans are looking at a Premier League side playing a Championship side and they are even, so you are going to get a few boos, that's natural. This is not Bournemouth's first team but they have played well, they move the ball very quickly and they move it forward when they can. But Villa have had their moments too. A draw is fair at the moment." He's such a threat in the air! Matt Smith beats his man to the ball again and that is some header, power from 15 yards but it floats just wide! THREE MINUTES added on. The West Ham fans are singing that they want to go home. They may be heading back to London with a win at this rate. "Very impressive first half from Bournemouth. They looked the superior side as the half progressed. Villa - in line with all the recent evidence - look like a team that does not know where its next goal is coming from. Few boos from the home fans." Villa haven't scored. Who would have guessed? Allyd Roberts: Shock on the cards at Ashton Gate - the Premier League team is actually winning! Matt Smith has another header on goal but it's easy for Adrian to hang on to. City still pushing hard but West Ham look solid enough at the back. Andy Carroll helping out as an auxiliary centre-half at times. "We've seen Diafra Sakho produce moments of brilliance this season and he has provided the difference between these two teams here today. Up until the goal the Bristol City 'keeper hadn't really been troubled, and City had two shots cleared off the line in the first half. They have played really well today and I am sure Steve Cotterill the manager will be really proud. But there is still time to play yet." West Ham are four minutes away from round five. With teams at the top of the Premier League falling by the wayside how far could the Hammers go? At Villa Park, Bournemouth continue to play the more composed and controlled football as we approach half-time. City are not taking this lying down, Joe Bryan shoots well wide from range before Matt Smith heads agonisingly close! Ah, the whistle had gone - it was a foul. Great effort though. Dean Ellinor: The team now ahead really shouldn't be! Bristol City have been the better team all game. "A brilliant header from Diafra Sakho. That is why he was brought on - to make the difference. Sakho rose to head the ball in off the underside of the bar, right on the back post. But it was great play from Andy Carroll to get the cross in. It looked like he was going nowhere." The substitute strikes! Diafra Sakho has West Ham ahead but he owes it all to Andy Carroll. Carroll bulldozes down the right-hand side, power and poise in unison before clipping the ball over on the run. The cross is perfect for Sakho to attack at the back post and heads in off the underside of the crossbar. West Ham's subs have breathed some life into them and Morgan Amalfitano this time takes aim from 25 yards, a dipping strike which calls Frank Fielding into action. Comfortable save but a fine hit. "Bournemouth growing in confidence and demonstrating it with their composed passing game. Villa have not been able to get Christian Benteke into the game and Bournemouth manager Eddie Howe will hope the longer this stays goalless the more it will play on Villa's frayed nerves. The home crowd is very quiet." Kevin Nolan's touch gets away from him and he slides in to recover but can only catch a City defender high and late. Booked. Just 12 minutes left at the Gate - it looks like a replay - especially as Luke Ayling heads a presentable chance over the bar! Jo, Brighton: So excited about the game. I live in Brighton but am a huge Gunners fan so it's win win whatever today. Think Brighton will chase hard and just miss it. 3-2 to Arsenal. Daniel, Darlington: Barring Santi Cazorla that's a full-strength Arsenal team, but if yesterday taught us anything it's that that means nothing. Come on Brighton! Things are heating up. At Villa Park, Bournemouth midfielder Eunan O'Kane slams in a left-footed drive from range and Shay Given has to make a one-handed stop. Harry Arter then sees his shot deflected into the side-netting and the Premier League side are on the rack. "What a great effort from Diafra Sakho. He smashes it towards the goal but the ball just clips the top of the bar. That is West Ham's best effort so far." First sight of goal for West Ham sub Diafra Sakho, and it's fine play down the left from Aaron Cresswell, bursting into the area, getting his head up and slotting a cross into Sakho's path. Sakho doesn't connect properly and it's blocked. But 30 seconds later Sakho picks the ball up on the edge of the box, loops it over one defender before crashing in a stinging half-volley which loops over the head of Frank Fielding and hits the top of the crossbar! Tom, Surrey: Why did Fulham loan out Matt Smith to Bristol City? Can we recall him please? Bournemouth still looking dangerous at Villa Park. They win a free-kick in a good spot on the right wing but Shay Given rolls back the years to come form his line and claim. "If he heads it down the pace of the ball takes it in! Matt Smith will be disappointed with that. He will know himself, as a big centre-forward, that was a great chance for him." That's a chance! Bristol City keep it well, engineering space down the left and wing-back Joe Bryan eventually whips it in. It's the sort of cross Matt Smith dines out on but this time is header is wayward - over the top. George Thorpe: West Ham have looked flat all game. They need to change in next 10 minutes to avoid a replay or worse. Adam Goldman: City need to get Kieran Agard on. The Cherries still looking sharp, they've made multiple changes today but you wouldn't know. We may have to get used to seeing Bournemouth on the big stage as they target promotion to the Premier League. "Bristol City have just eased off a little in terms of their effort levels, but the two powerful players they have in Jay Emmanuel-Thomas and Matt Smith up front still look threatening. City probably feel they should be ahead in this game, because of the number of attempts on goal they have had, but they have chosen the wrong final ball at times." Our service which can bring you highlights of every goal as it goes in isn't doing much business today. A Sunday snooze. West Ham are into the final 25 minutes. "It looked certain Bournemouth would score but credit to Aston Villa they went straight up the other end and had a shot of their own. Both sides are being positive when in possession of the ball but especially Bournemouth. Villa have got to be on the alert the whole time. At the moment I would call this one as 50-50. You're not too sure which way the game is going to turn." Lovely play from Bournemouth midfielder Harry Arter plays in Shaun MacDonald, a backheel right into his path. He's onside, and goes round the onrushing Shay Given, but he's forced wide. He gets a shot away but Jores Okore is back to clear off the line. Seconds later, Andreas Weimann shoots wide at the other end. Into the last half hour at the Gate. Stewart Downing has been quiet but bursts into life, plays a one-two with Kevin Nolan, beats one man and then fires over the bar from 20 yards. Both managers are animated on the touchline. Neither too happy at the moment. "Sign of the times at Villa that the fans are investing so much hope in new signing Carles Gil. The Spain under-21 midfield man, signed from Valencia in a £3.2m deal, is making his first Villa start but his name was cheered when it was announced before the game and there is a real buzz of excitement when he gets on the ball." Decent effort from Villa new boy Carles Gil, spinning a 20-yard strike wide with his left foot. He's looked lively so far. We will be asking you in the last 10 minutes of today's game to vote for the FA man of the match award. We will be letting you know shortly which three nominees Kevin Kilbane has selected for the award. Brighton defender Lewis Dunk returns after a one-match suspension. Midfielder Jake Forster-Caskey is also back in the starting XI after recovering from injury, while Craig Mackail-Smith is on the bench. Arsenal make seven changes. Mesut Ozil starts for the first time since October and plays in a midfield that includes Theo Walcott, Mathieu Flamini and Tomas Rosicky, who also come into the starting line-up. Wojciech Szczesny replaces David Ospina in goal, while Olivier Giroud begins in attack. Brighton XI: Stockdale, Bruno, Greer, Dunk, Bennett; Holla, Ince, Calderon, Forster-Caskey, Baldock, O'Grady. Paul Smith: With all that's happened this weekend in the FA Cup surely BBC Sport hasn't chosen two goalless draws for their live matches? Ch-Ch-Ch-Changes for the Hammers. Enner Valencia is replaced by Diafra Sakho and Alex Song is hooked too. On comes Morgan Amalfitano who scored soon after coming on last week. "This game needs a goal to liven things up again. But the Bristol City fans are still in good voice. The ground here of course has only got three stands at the moment, but there's not a chance of the atmosphere dropping and killing the game." Plenty of expectation as Jay Emmanuel-Thomas lines up a 25-yard free-kick. The big man approaches with purpose but his strike is tame, and Adrian is able to easily hold on to it. West Ham readying some substitutes. Only a whisker away from the opener for the hosts! Alan Hutton with the classic overlap from right-back, his early delivery is a cracking cross too and Andreas Weimann meets it, powerful header but just past the post. That's got the fans going. New contract for Fabian Delph! Chuffed but what is he thinking?! Can we cause an upset and beat Bournemouth now?! The Championship leaders look very settled and confident at Villa Park. We all know what Middlesbrough managed yesterday, can the Cherries strike another blow for the Football League? West Ham have made a steady but solid start to the second half, they are certainly not letting City get off to the flying start they managed in the first half. "Both sides are moving the ball around very quickly but I have been particularly impressed by Bournemouth. Their passing is very accurate, and they are also having shots on goal. They look very attractive. We've heard a lot of things about Carles Gil for Villa. It will be very interesting to see how he gets on in this game." Plenty of pace in the Arsenal side today as Mesut Ozil and Theo Walcott both start. Ozil's first start since September. Good defending from Villa centre-half Jores Okore prevents Shaun MacDonald from running clear on goal, the Cherries looking lively as MacDonald then shoots over the top. And we are back up and running at Ashton Gate. "I think Sam Allarydce could change formation for the second half. I think he might go 4-5-1, with Andy Carroll up top, just to try and shore the game up. Allardyce will be happy to take a draw and a replay back at Upton Park. Too many of the West Ham players have not been at it." Under way at Villa Park. Eddie Howe has got that. He has a good backroom staff with him and some very good players, a great spirit too. If he can get promotion to the Premier League - they remind me of Burnley under Sean Dyche. It will be an unbelievable achievement. Going to Villa Park, if they can get through the first 20 minutes, the crowd could get edgy and turn on the Villa players." "Aston Villa are a wonderful club, a really big club not just in Birmingham but in English football. Paul Lambert has recognised that he has to keep clean sheets, so they are defending a bit deeper and maybe the results will pick up for them." "I still fancy myself against Villa now"
what I said on the BBC Sport website, Aston Villa are embarrassing in terms of scoring. Only 11 goals in the Premier League. There are lots of problems. Christian Benteke is not scoring as many as he has in previous seasons, but Gabriel Agbonlahor and Andreas Weimann aren't scoring either. And in midfield, Villa only have one assist all season between them. Looking at the midfielders in the team, I still fancy them now, at my age. The strikers are not getting enough chances created for them." "The news of Fabian Delph signing a new deal with Aston Villa - amid reported interest from Liverpool and Spurs - has certainly lifted the spirits of the home fans. Now they need the extra lift of actually scoring a goal and even winning a game here against Bournemouth in the FA Cup fourth round." Villa Park is a long, long, long, long way from full. Bournemouth have made eight changes, can they still shock Villa with their second-string? "Bristol City have been working extremely hard. I have seen them a few times this season, they really work hard for each other closing players down, forcing slack passes from West Ham. Who is the Premier League team here again? Watching the clips at half-time you would definitely say it was Bristol City. West Ham have to make some changes. They need more energy to get into the game." "Luke Freeman is a very good player. He is very good at finding space. His end product has let him down but he goes at the back four. West Ham will have to sort that out. He has been the one real creative force for Bristol City but just hasn't found the right final pass yet." Fabian Delph has only scored three league goals in 96 appearances for Villa - can he add them to his game now he has a new deal? "West Ham have struggled to contain Matt Smith. As well as being a physical presence, he also has the ability to hold the ball up and bring his team-mates into play." "Bristol City could be 2-0 up, they have been playing some really good football. Luke Freeman is getting on the ball but is just missing on the final pass, he's taking one touch too many. Matt Smith has had some decent headers, he is letting West Ham know he there. He is a real physical centre-forward." "It's been one way traffic. The formation that Bristol City are playing is causing so many problems. With their width the West Ham midfield is getting bypassed too easily. Andy Carroll saved them with a splendid bit of defending to clear off the line. Adrian even gets a hand on it, which makes it even more impressive Carroll didn't head it into his own net." The BIG news at Villa Park is a new four-and-a-half-year deal for Fabian Delph. The announcement is greeted with polite applause at the half-empty ground. That is good news though, no? "Bournemouth manager Eddie Howe may have made eight changes to the side that lost at Leeds United - but that does not appear to have reduced the enthusiasm and optimism of thousands of visiting fans packed into one end of Villa Park. Noisy and perhaps sensing the chance to claim another FA Cup fourth round Premier League scalp." "Bristol City's energy is better. With or without he ball they have been better than West Ham. We saw West Ham struggle last week in the league and big Sam has a job on his hands at half-time. If it wasn't for Andy Carroll's superb defensive header off the line, they would be behind. What he did was as good as scoring a goal." Steve Cotterill will be delighted with his side's opening 20 minutes or so but he'll want more from them after the break. Arsenal have arrived at the Amex. Team news from that one coming up shortly. This one started like a train but is fizzling out towards half-time. More tempo, more drama please! "Bristol City have had the lion's share of the first half's play. They have had two shots cleared off the line, while Frankie Fielding had nothing to do before Andy Carroll's chance. Although West Ham are starting to pass the ball around much better and are coming back into the game." West Ham's best moment as Carl Jenkinson has time on the right and bends in a delicious cross, top class. Andy Carroll goes for it but he's under pressure and can't make a telling connection. West Ham definitely ending the half on top. Sam Allardyce will be pleased with this, much like last week his side have offered little going forwards so far but they seem to have weathered the storm. Last week against Hull the Hammers turned on the style in the second half. Will we see a repeat performance? West Ham now moving into the game more and more. Stewart Downing has had no joy through the middle so moves out to the right but his cross inside is poor.